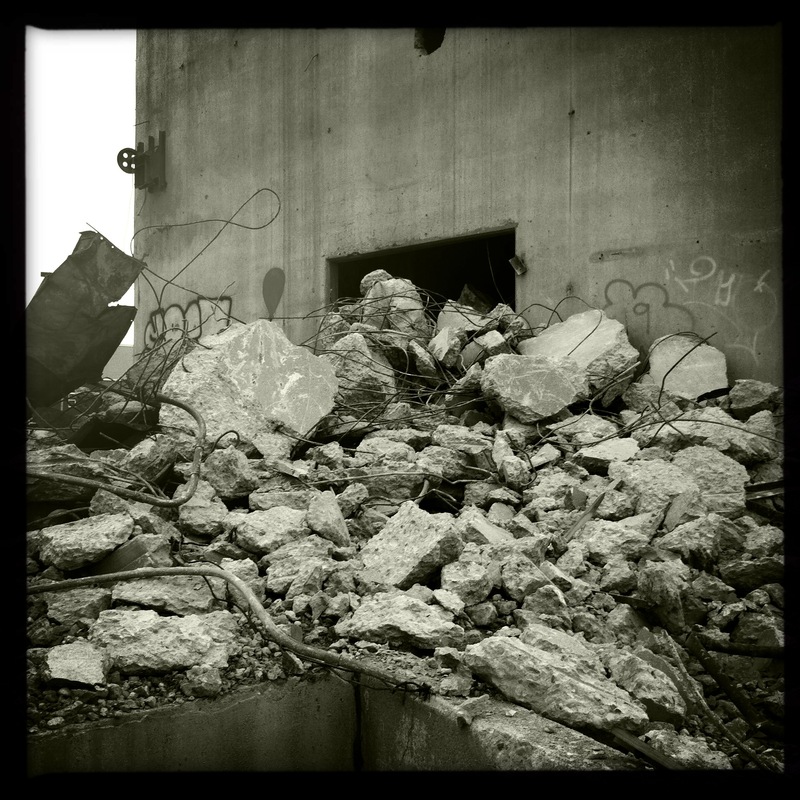 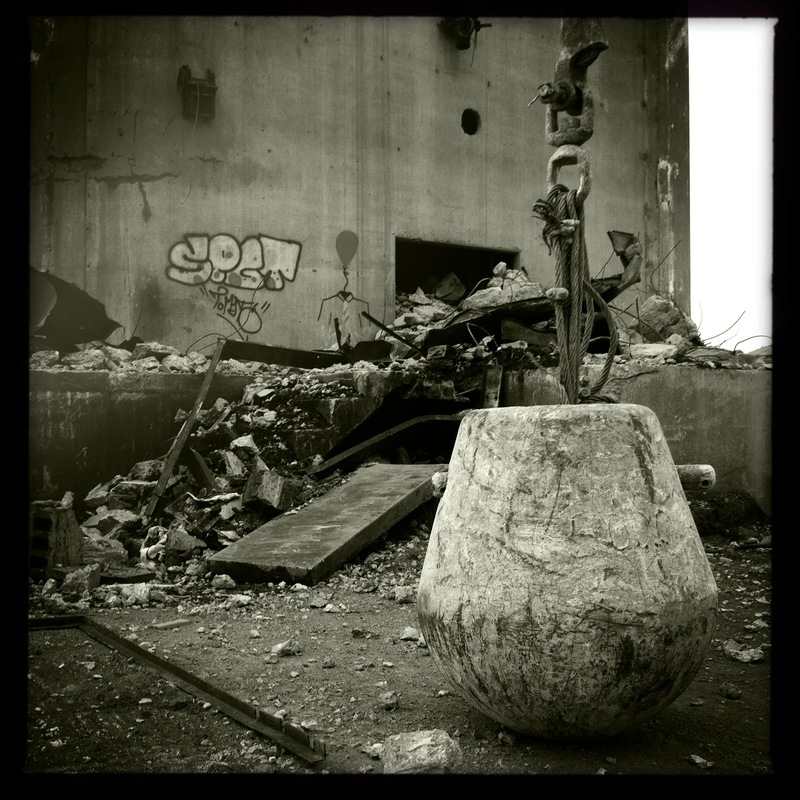 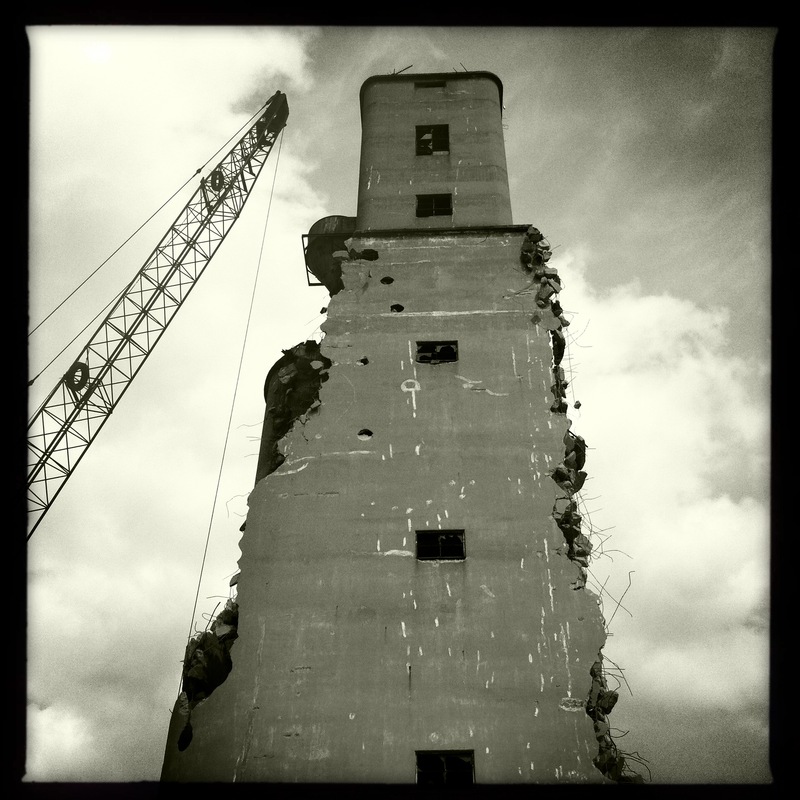 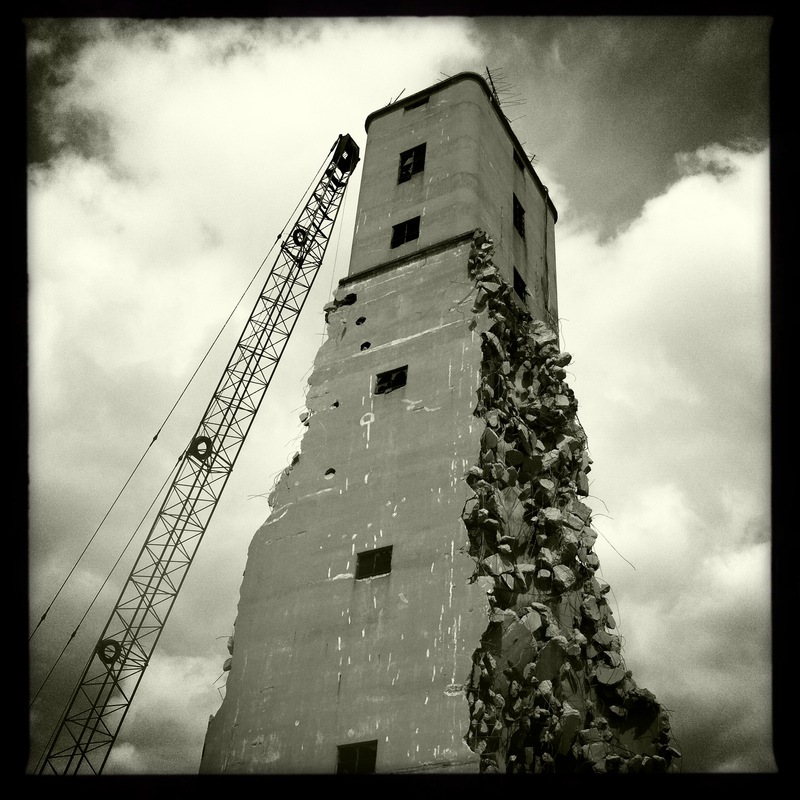 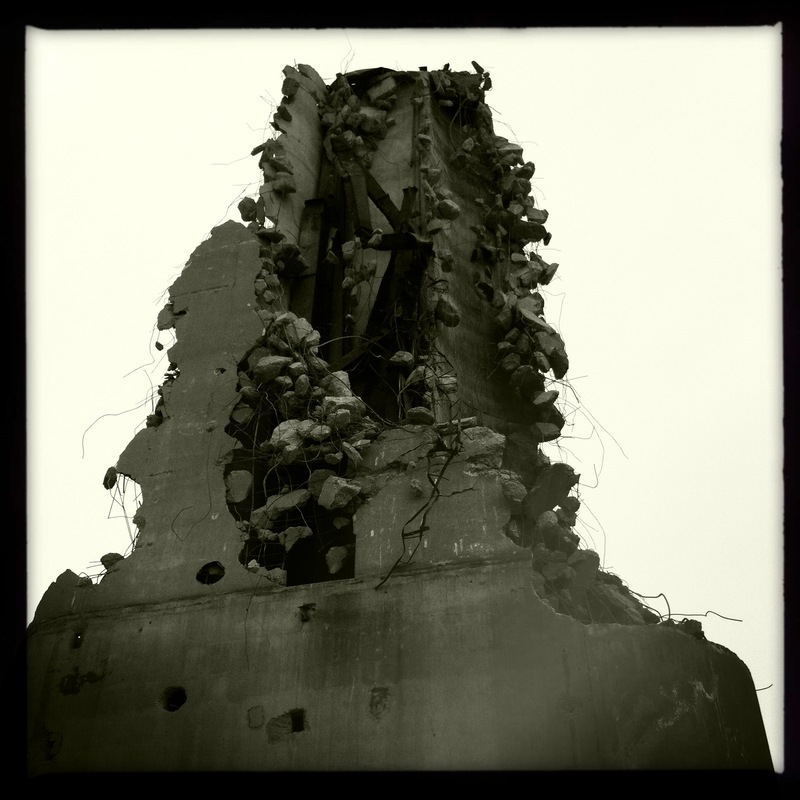 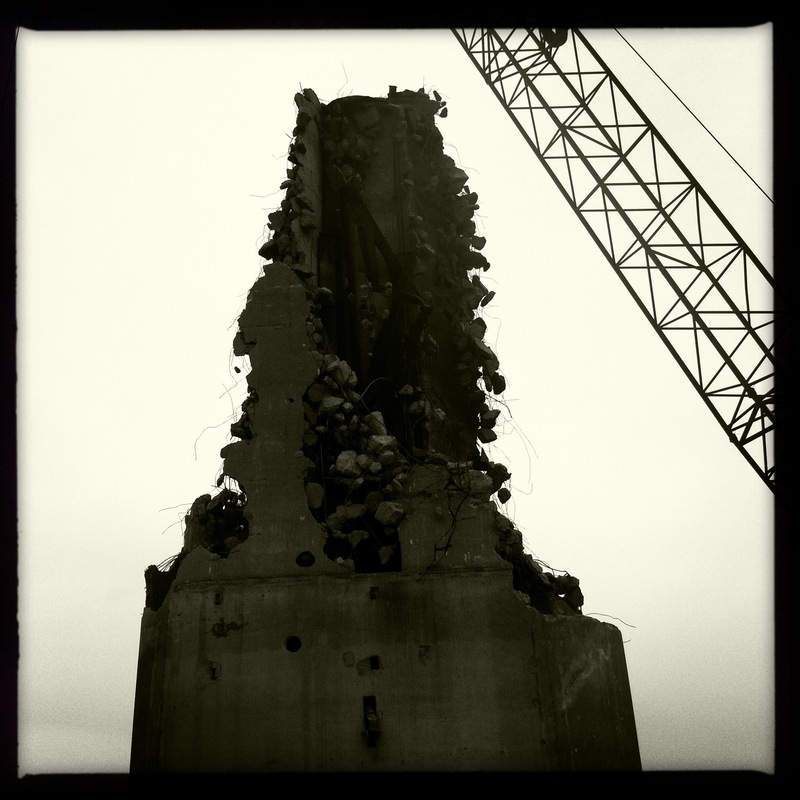 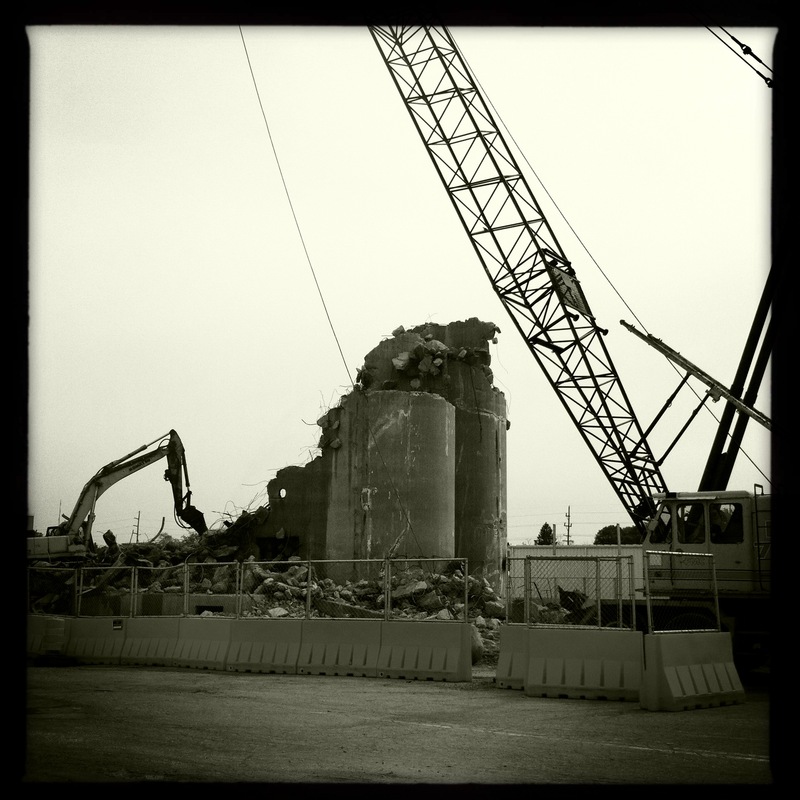 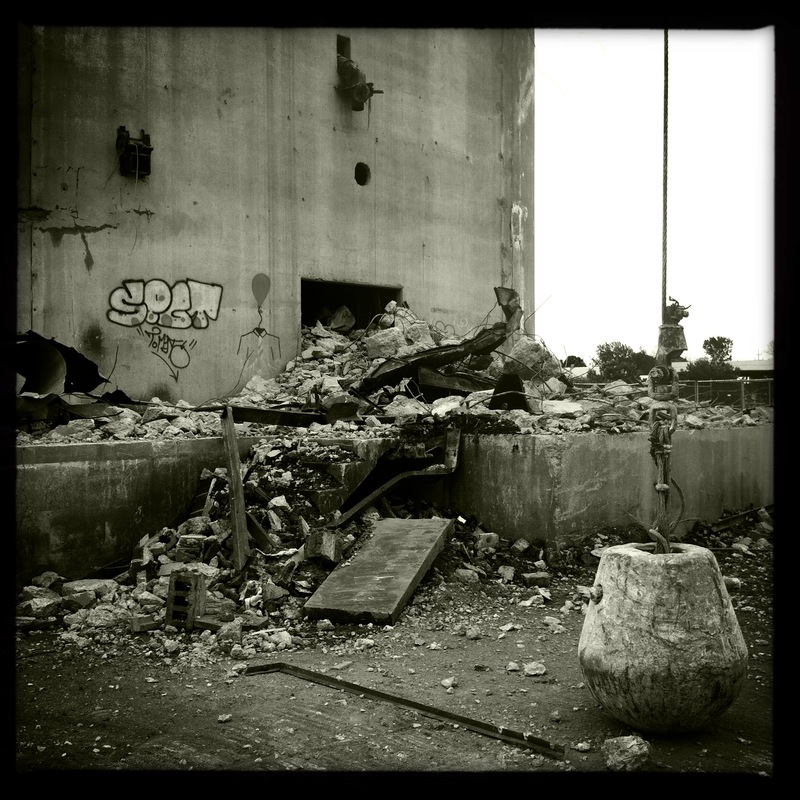 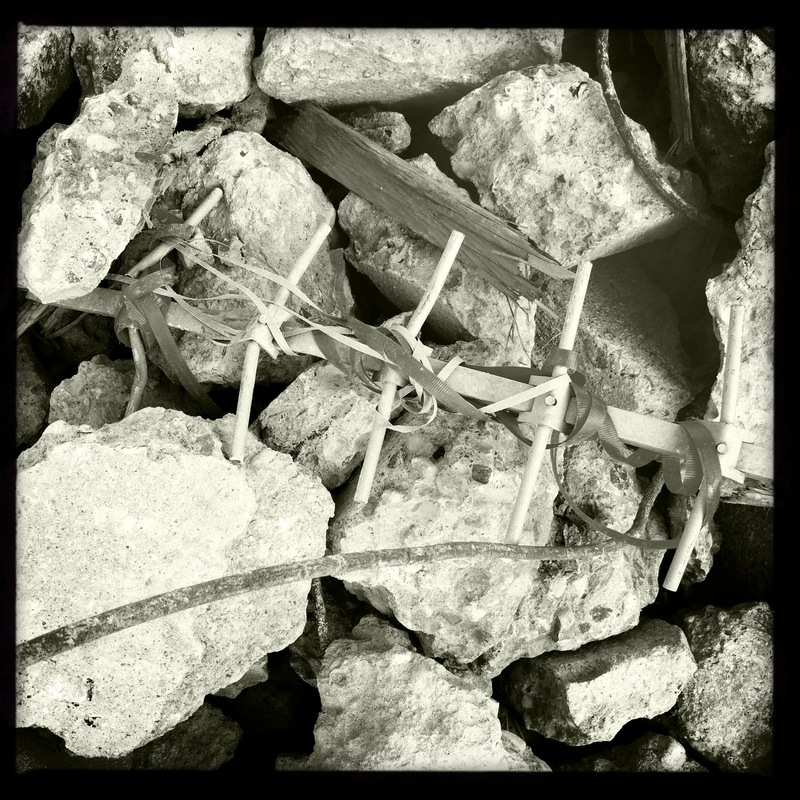 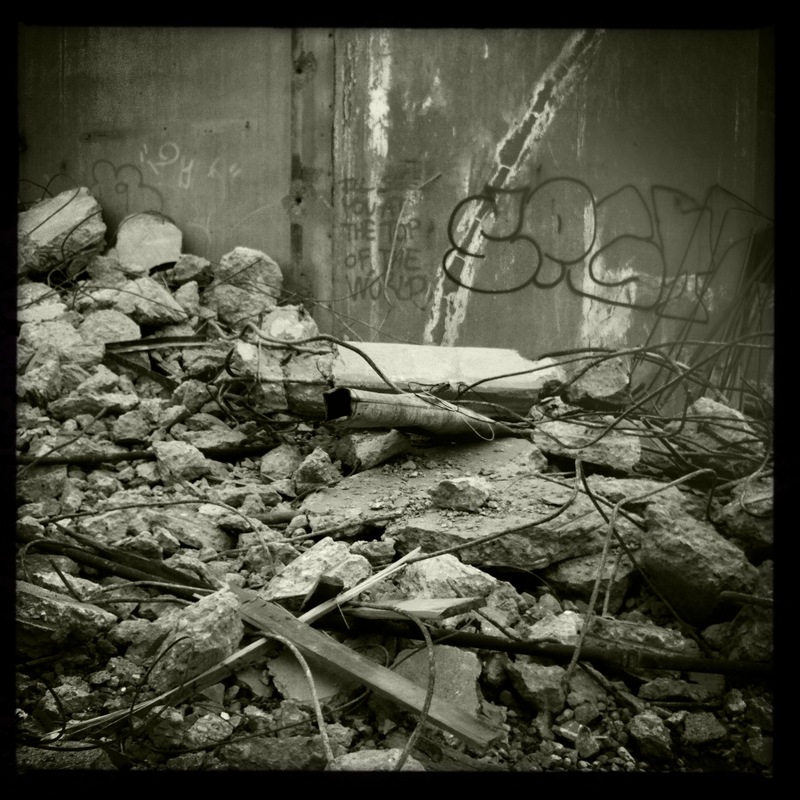 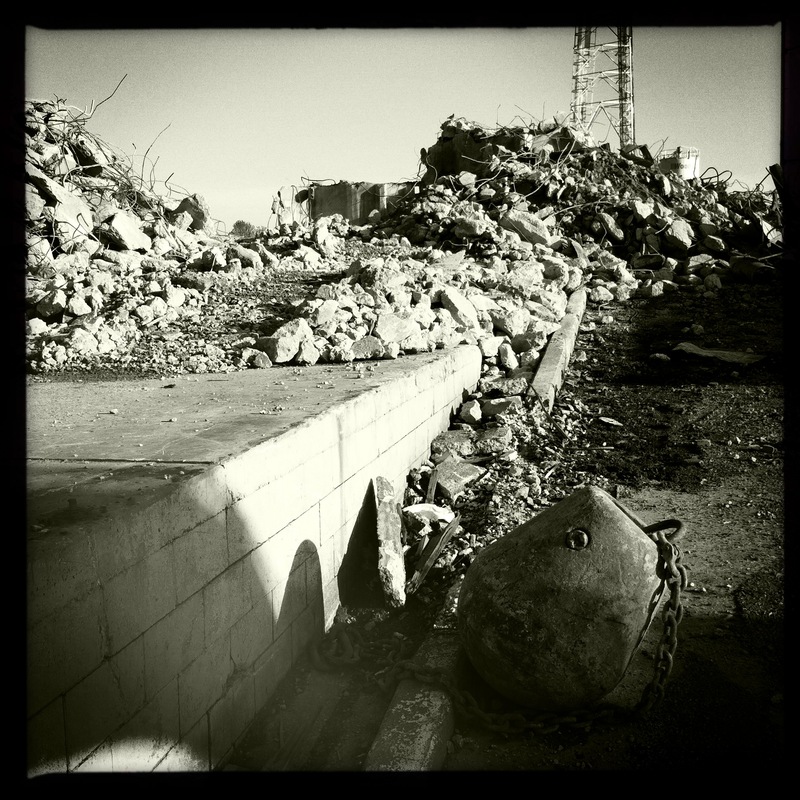 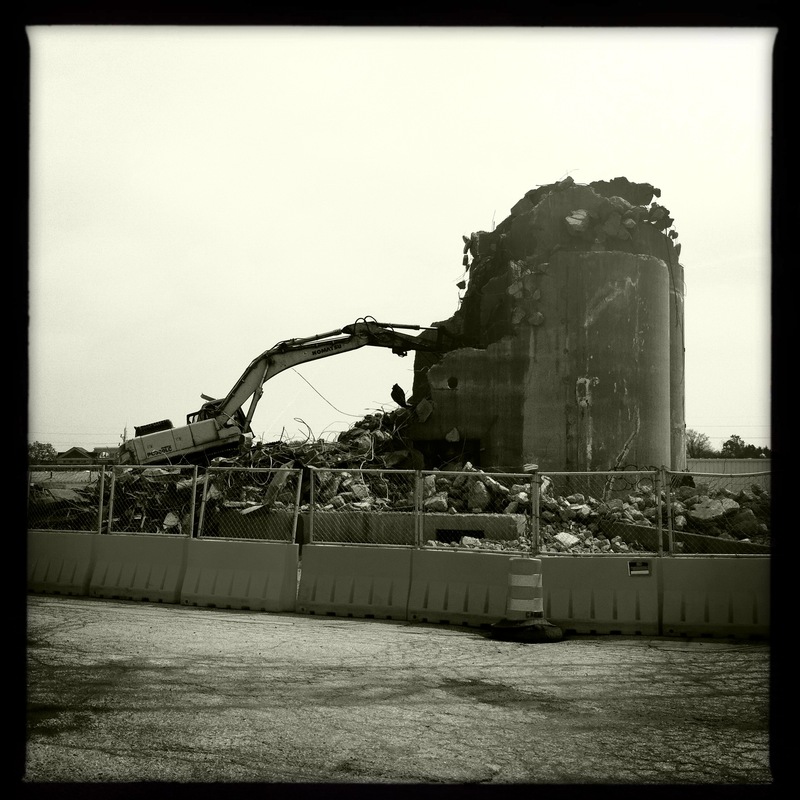 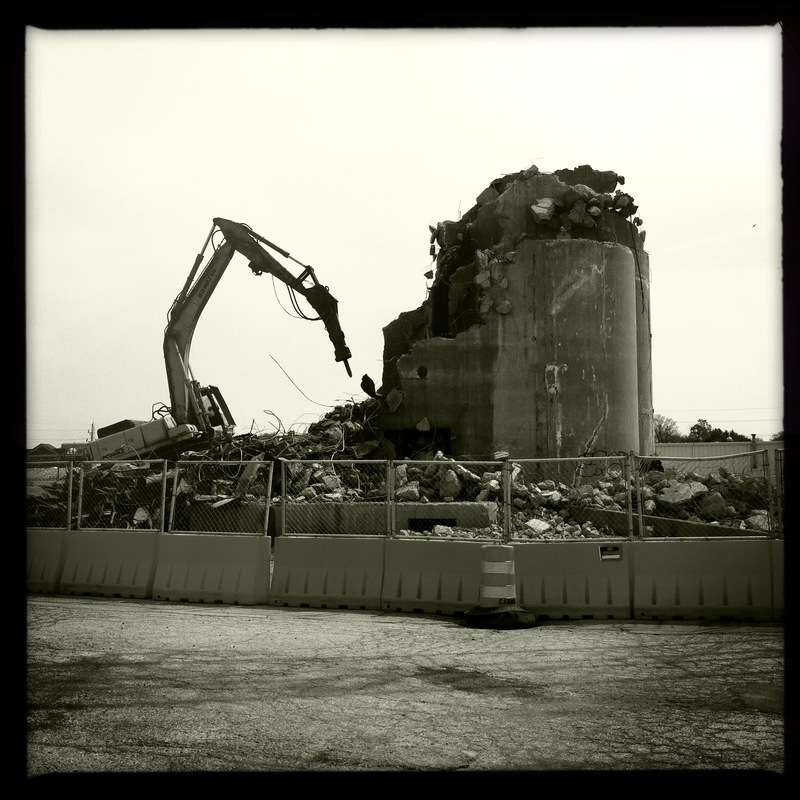 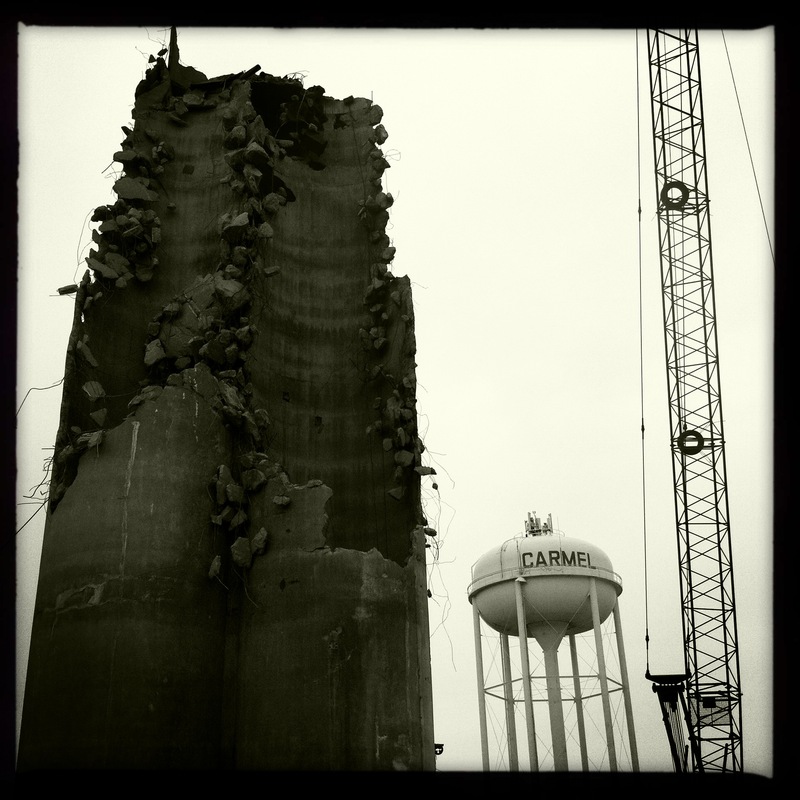 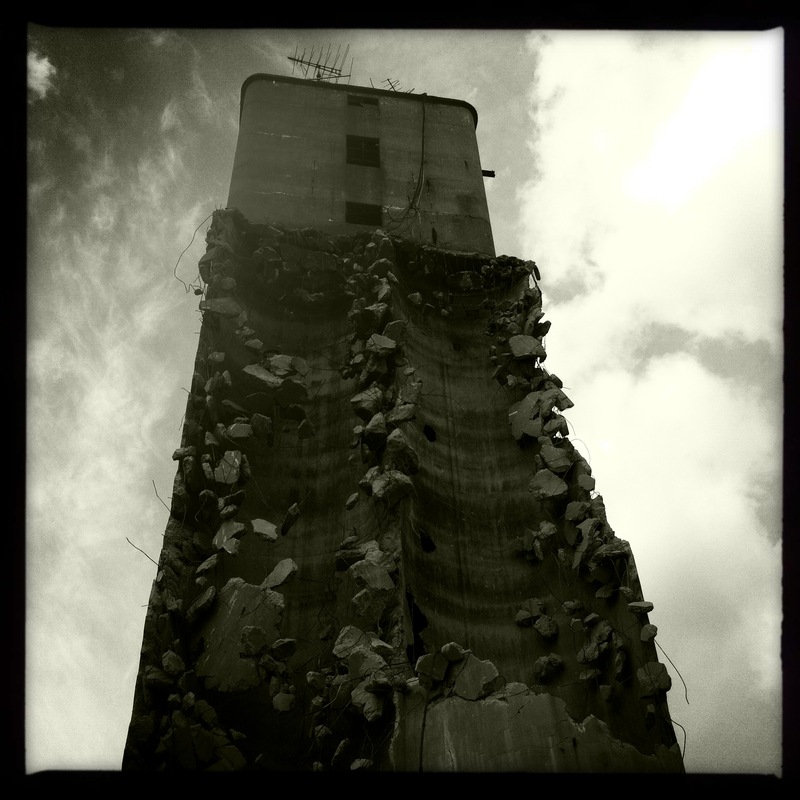 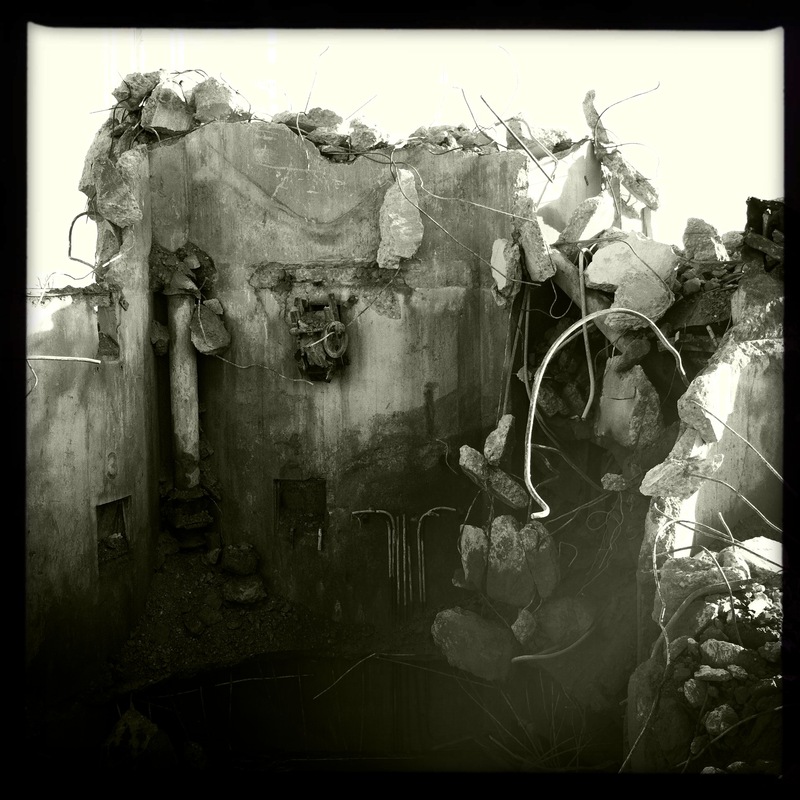 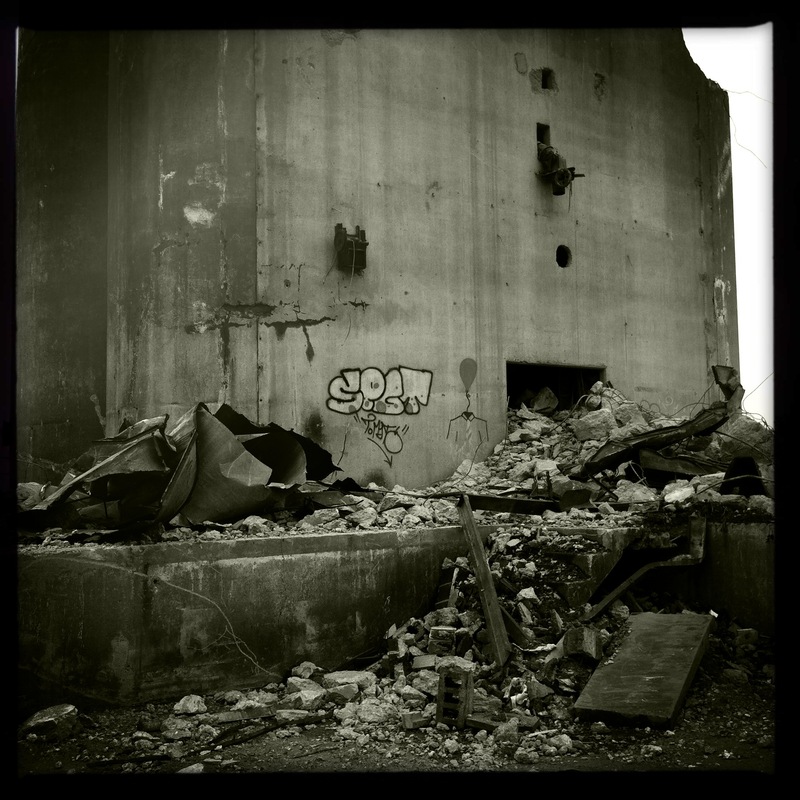 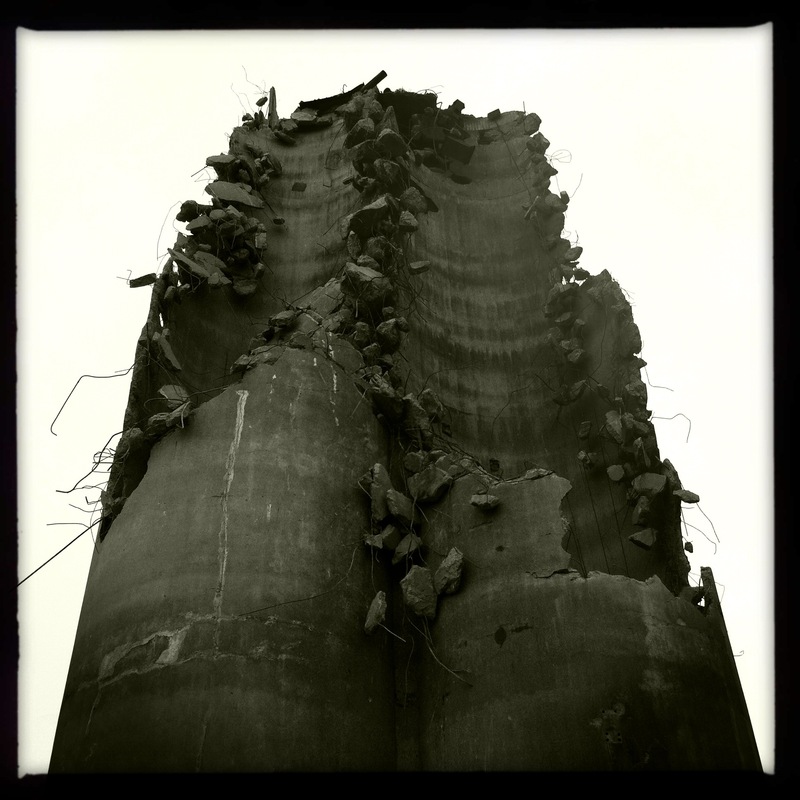 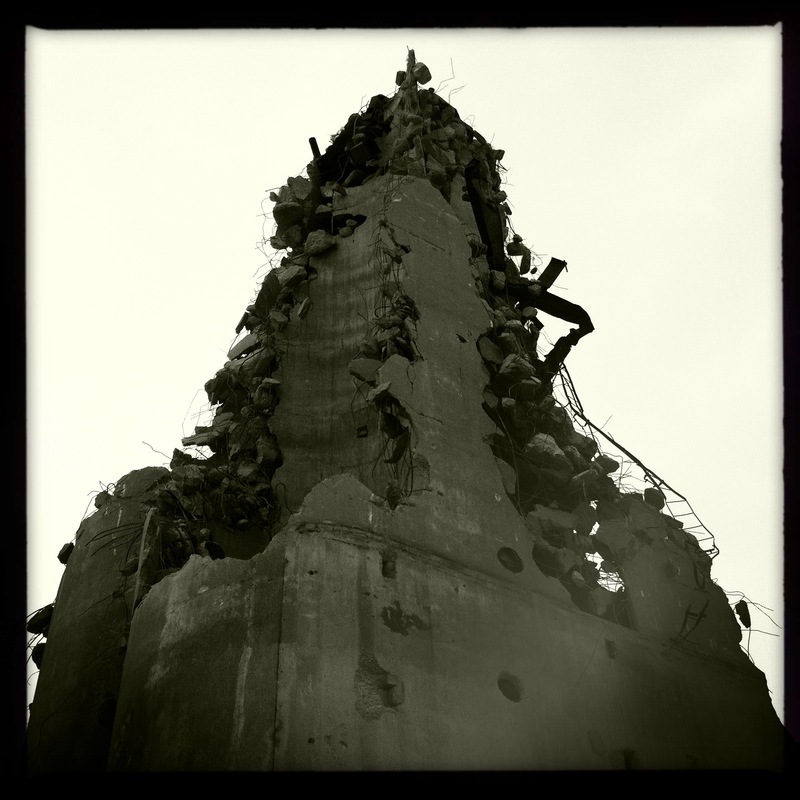 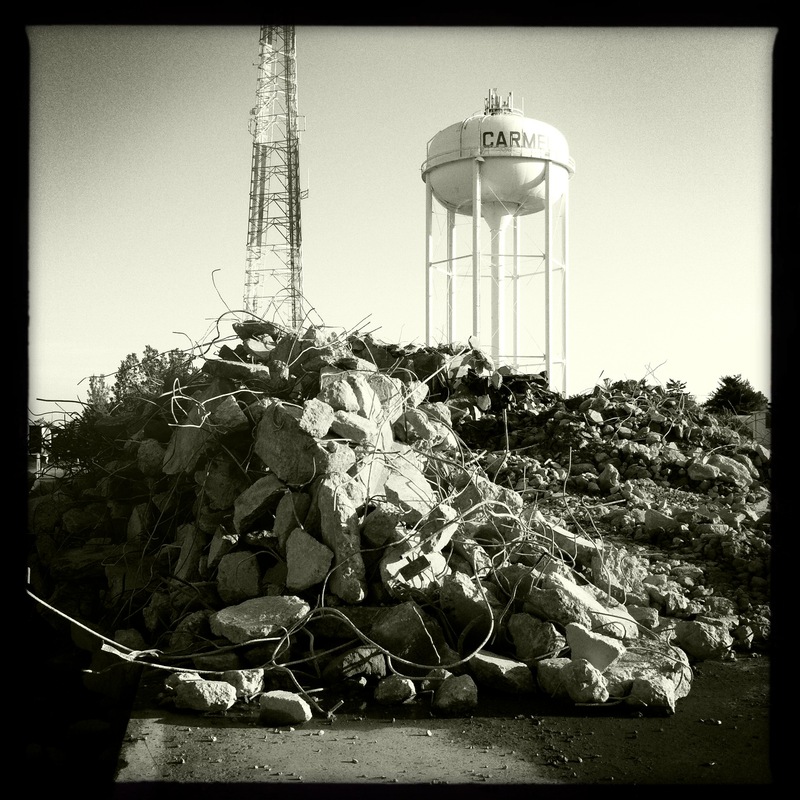 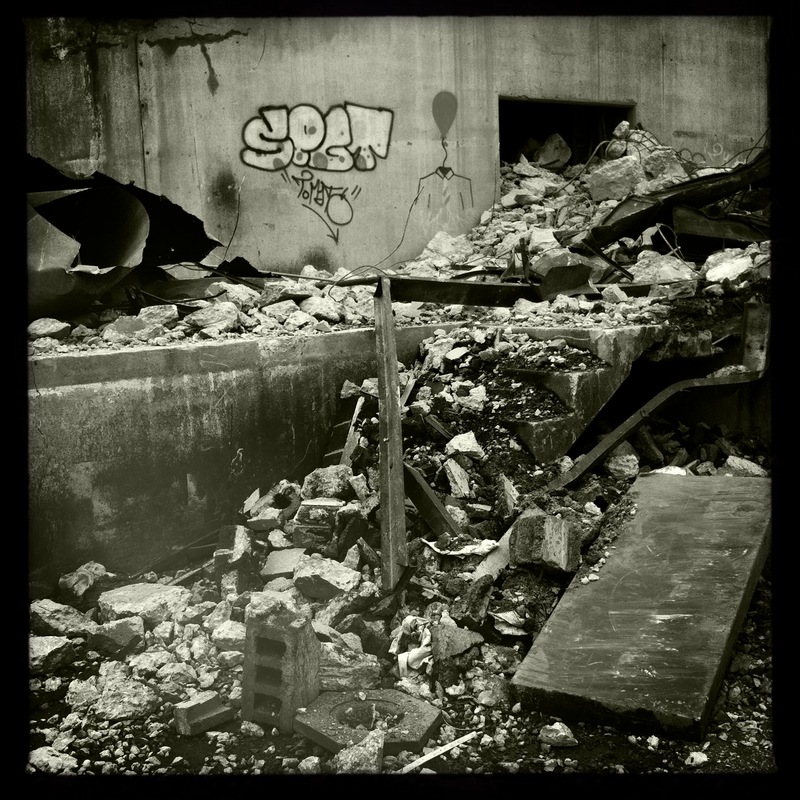 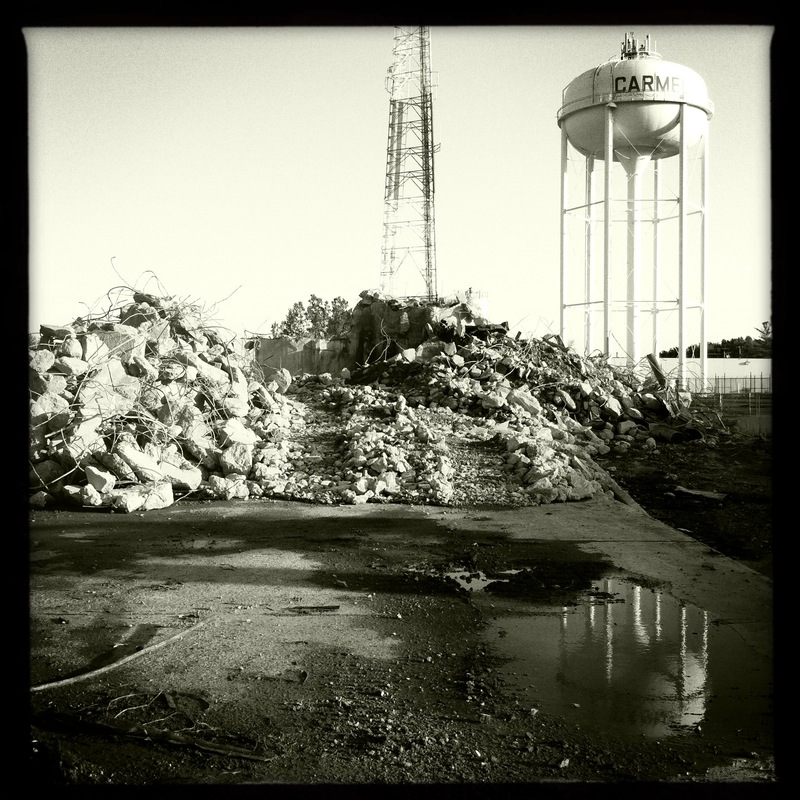 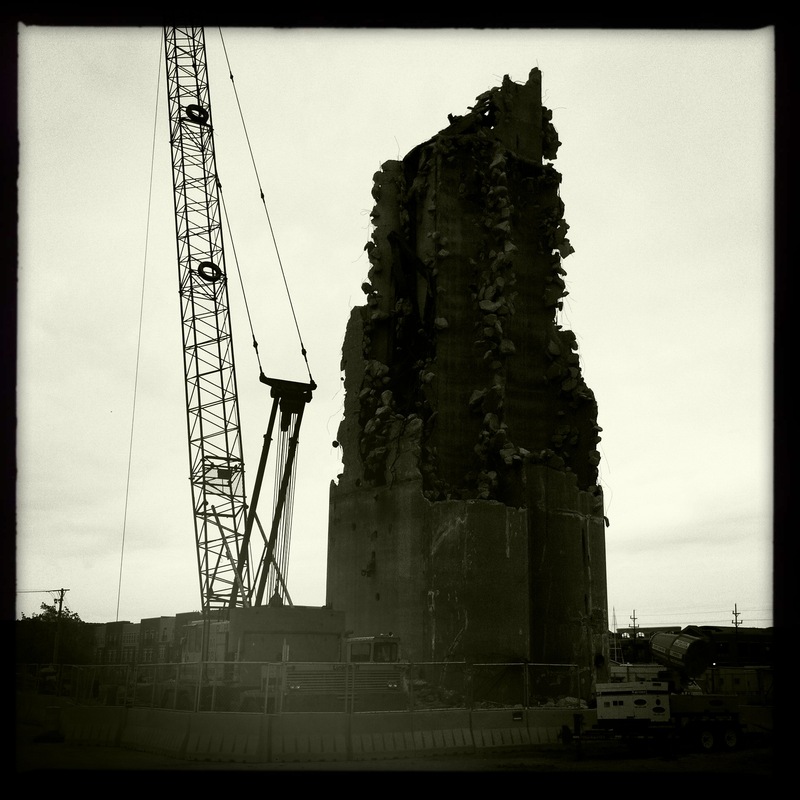 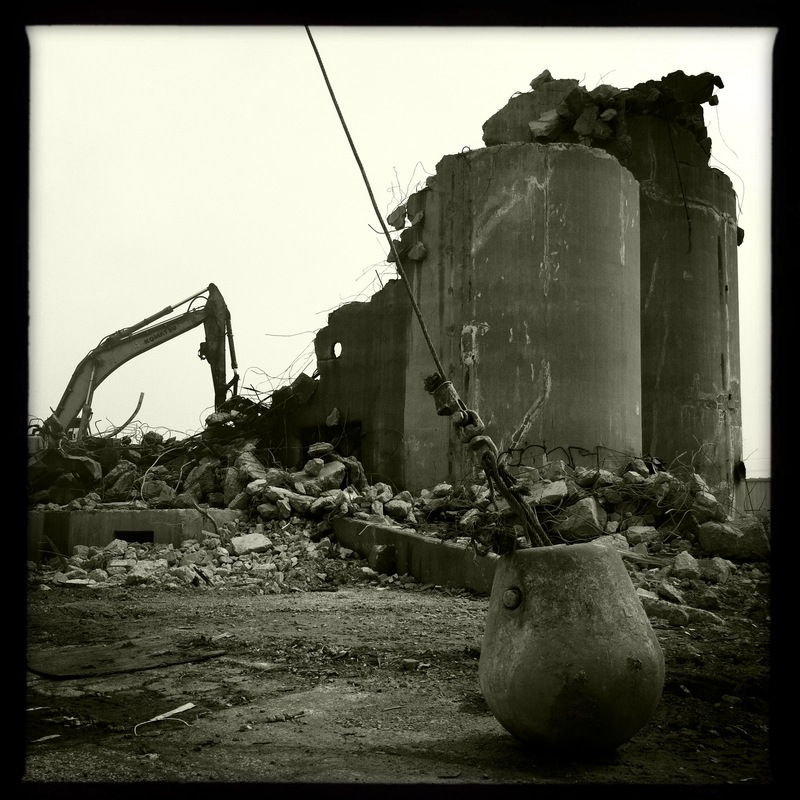 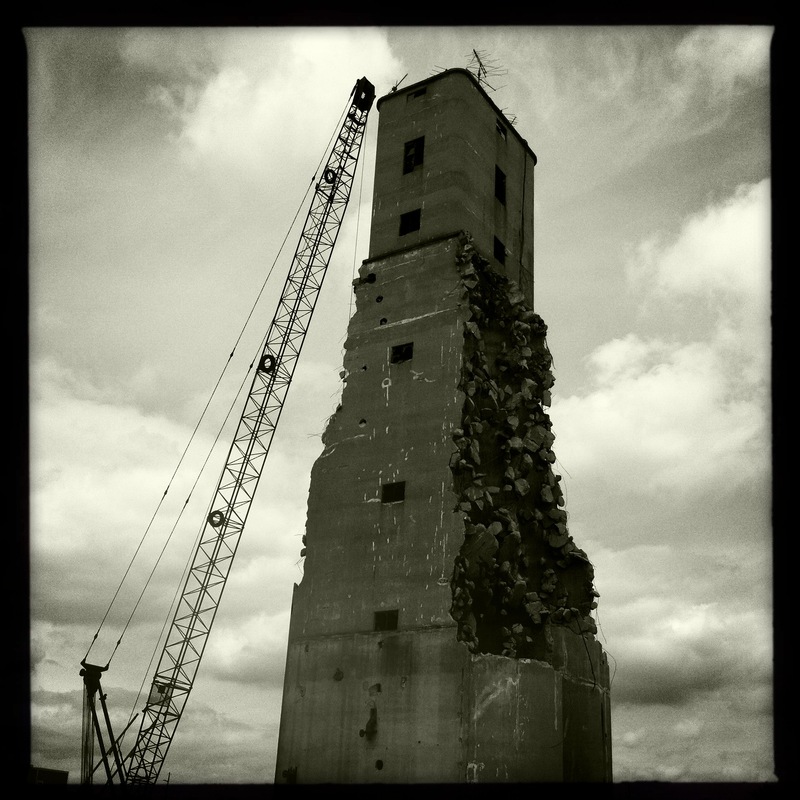 These photographs show the progression of the demolition of the Carmel grain elevator. 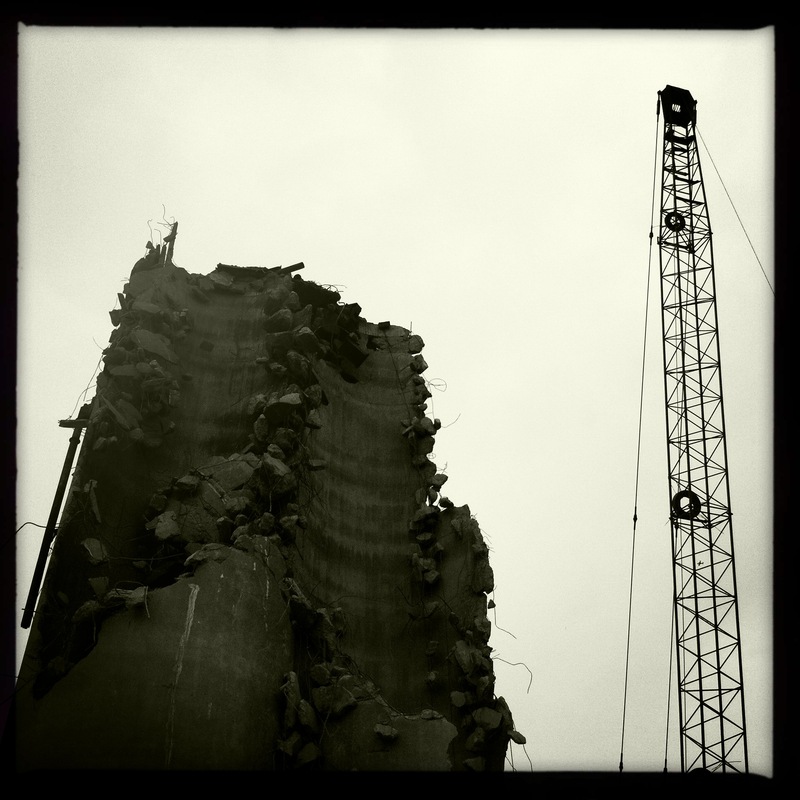 Originally I was not going to take any photographs of the demolition but someone that I greatly respect requested that I document the demolition. 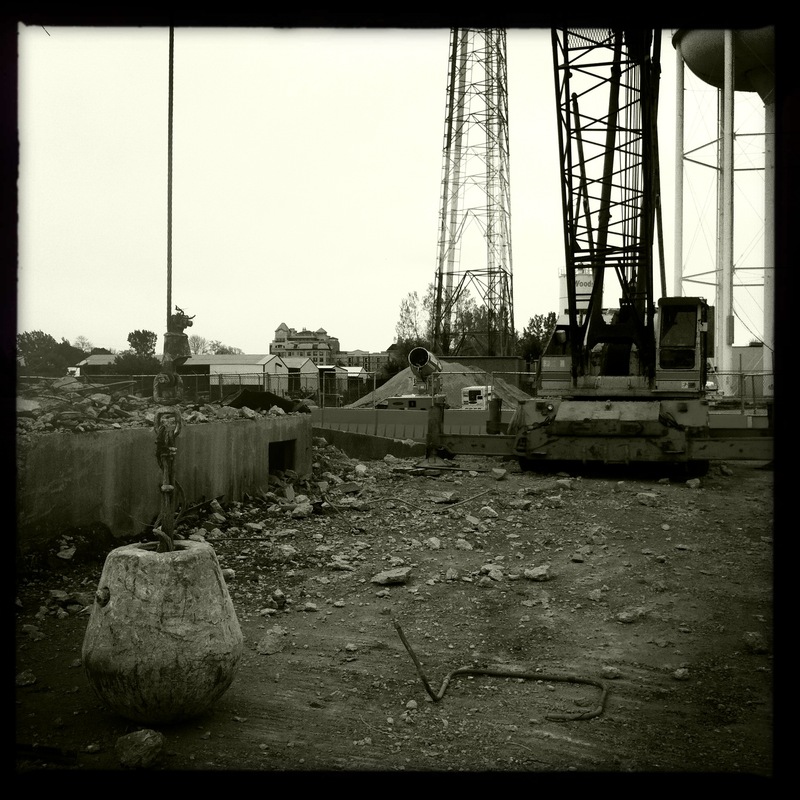 I agreed to do it on a limited basis. 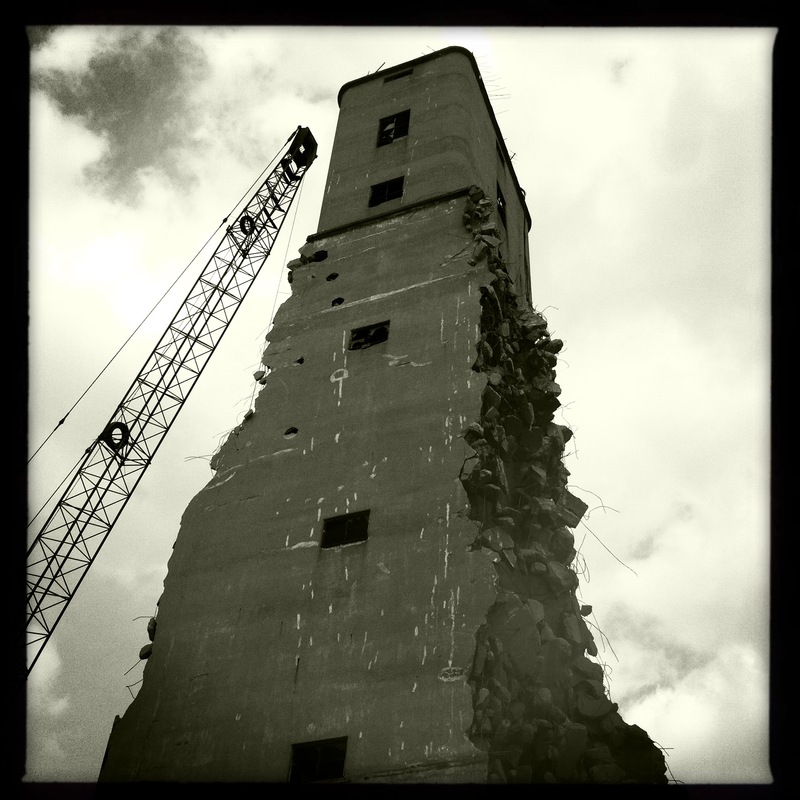 As you can see in the structural assessment’s executive summary, the structure was sound and simply had to be made weather tight for it to be preserved. 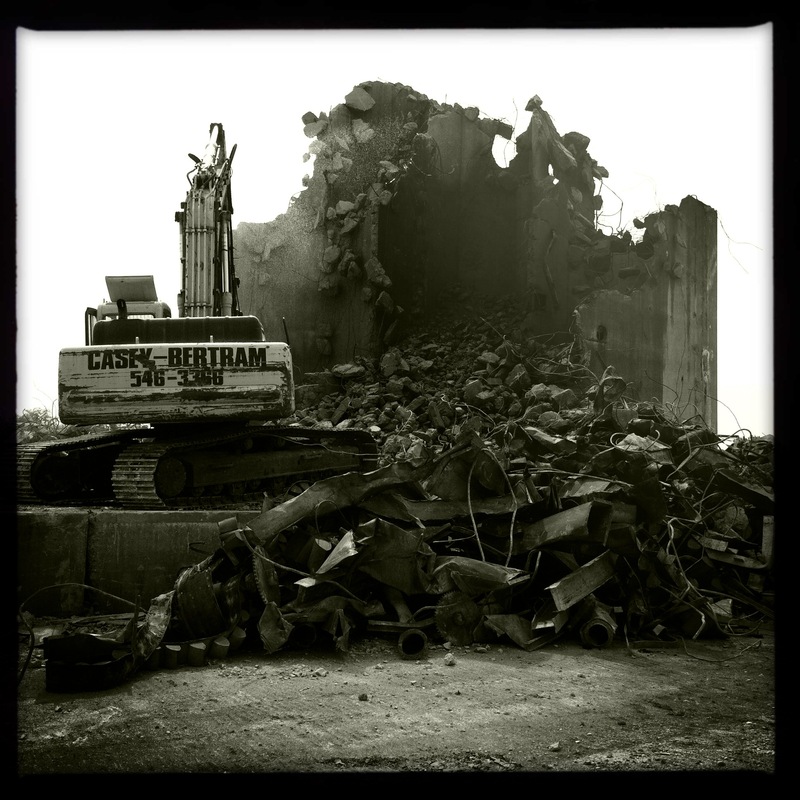 There was no reason other than machine politics to destroy such a wonderful historical asset. 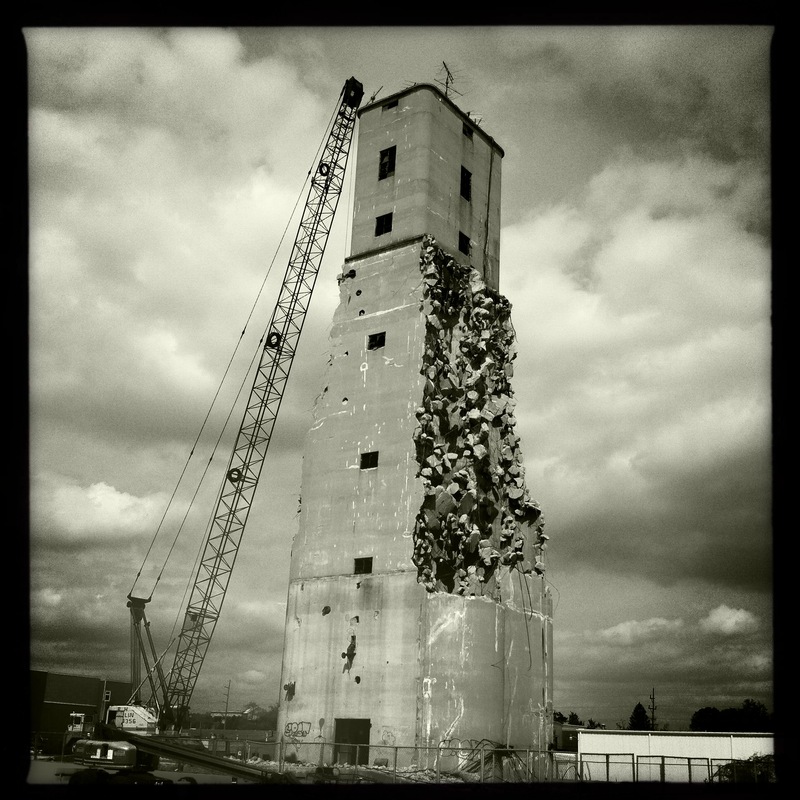 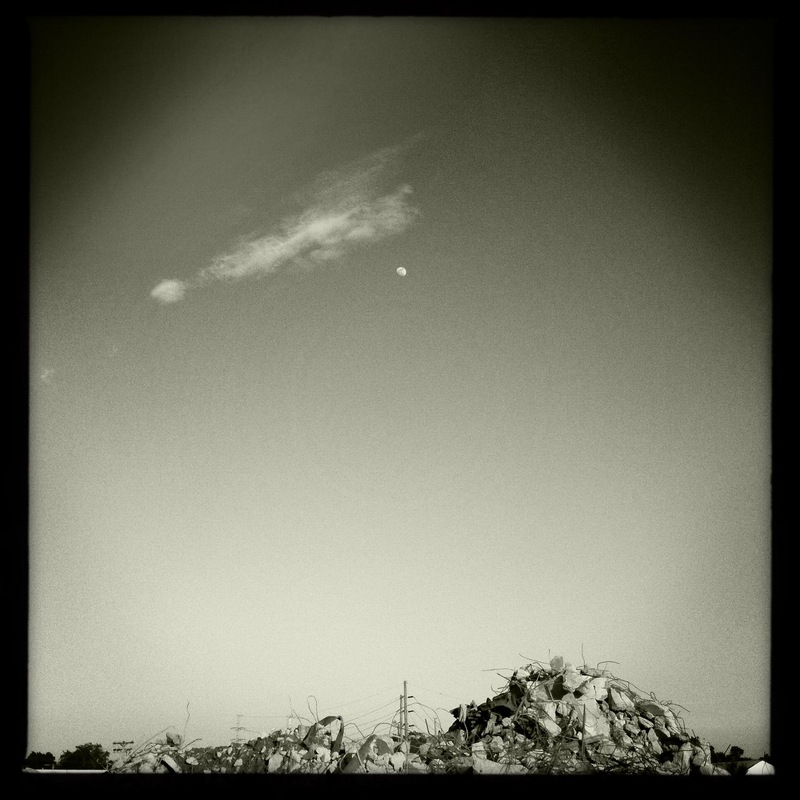 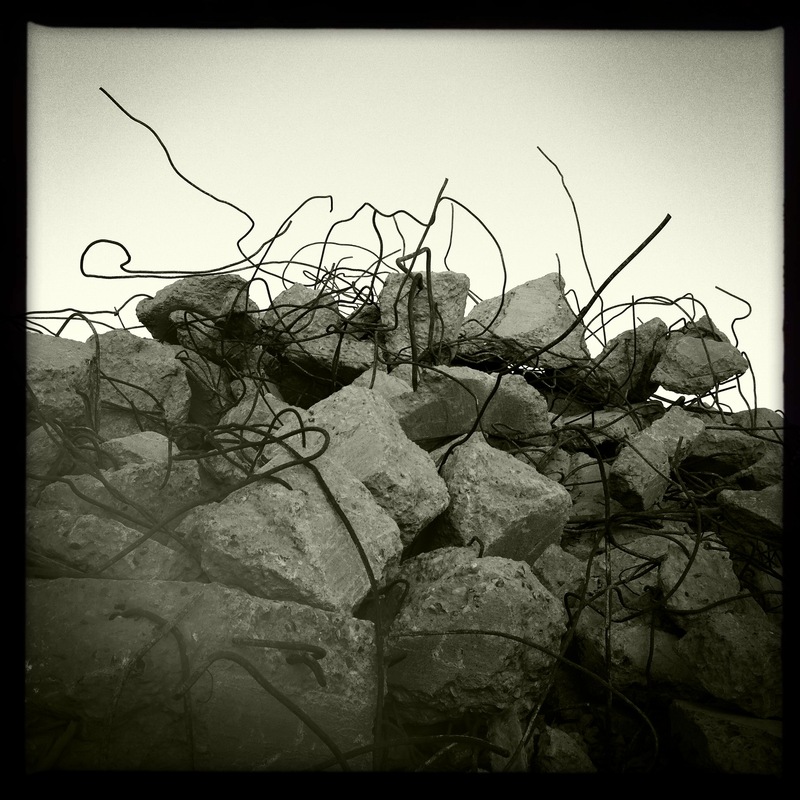 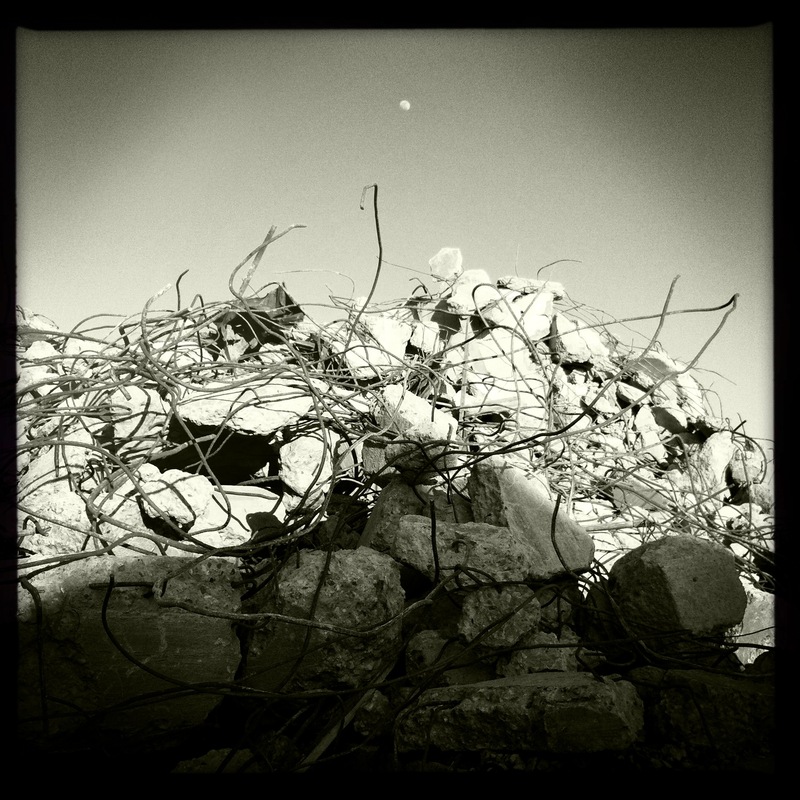 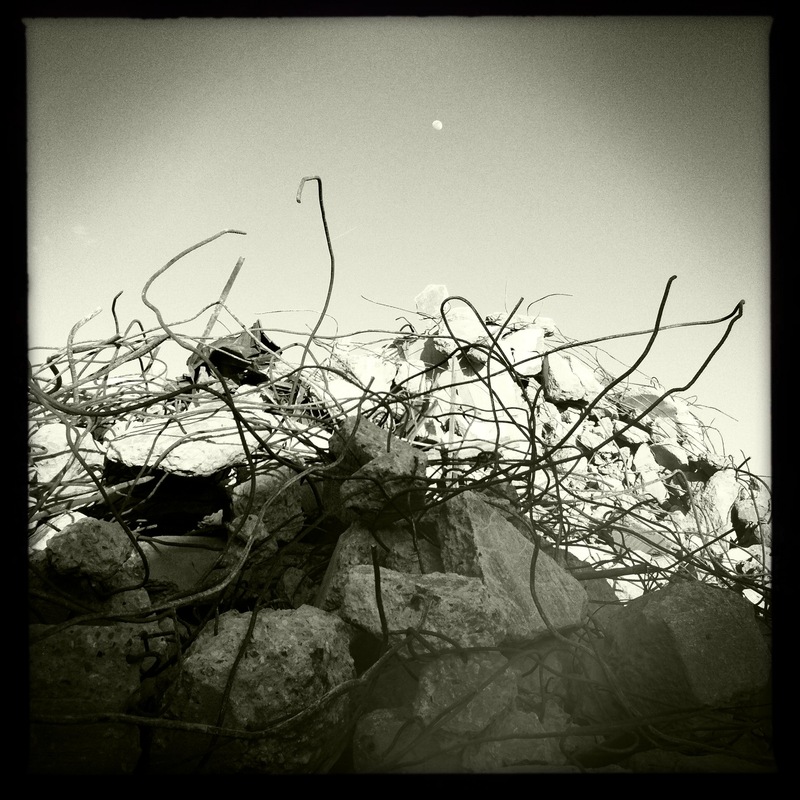 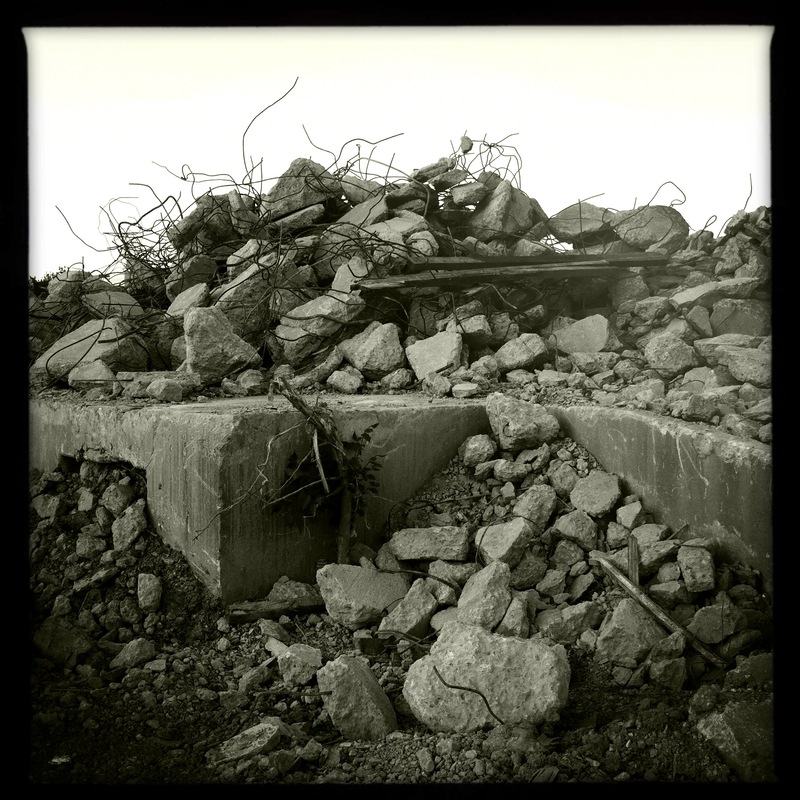 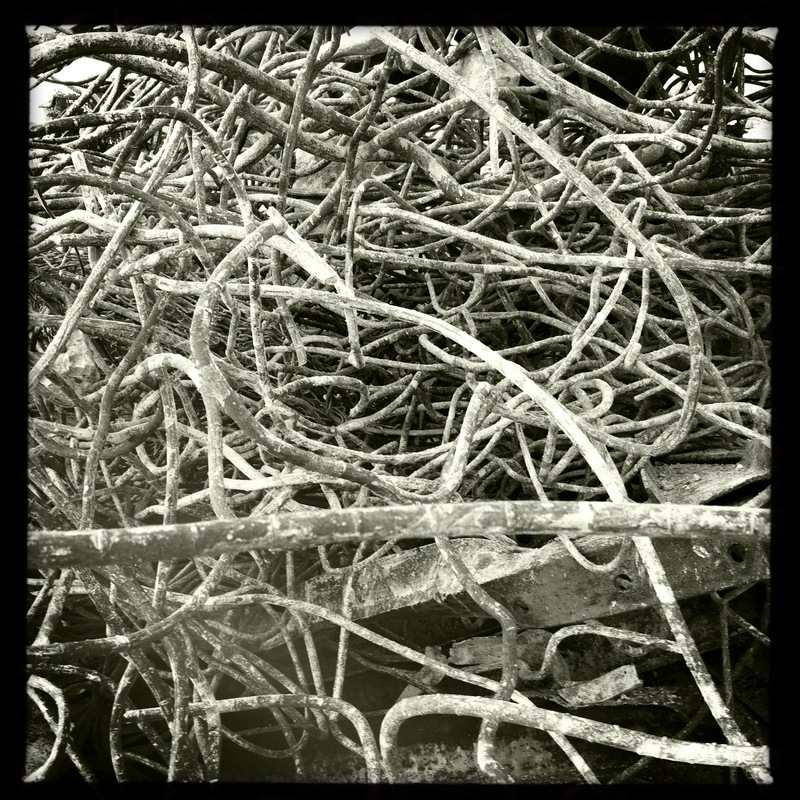 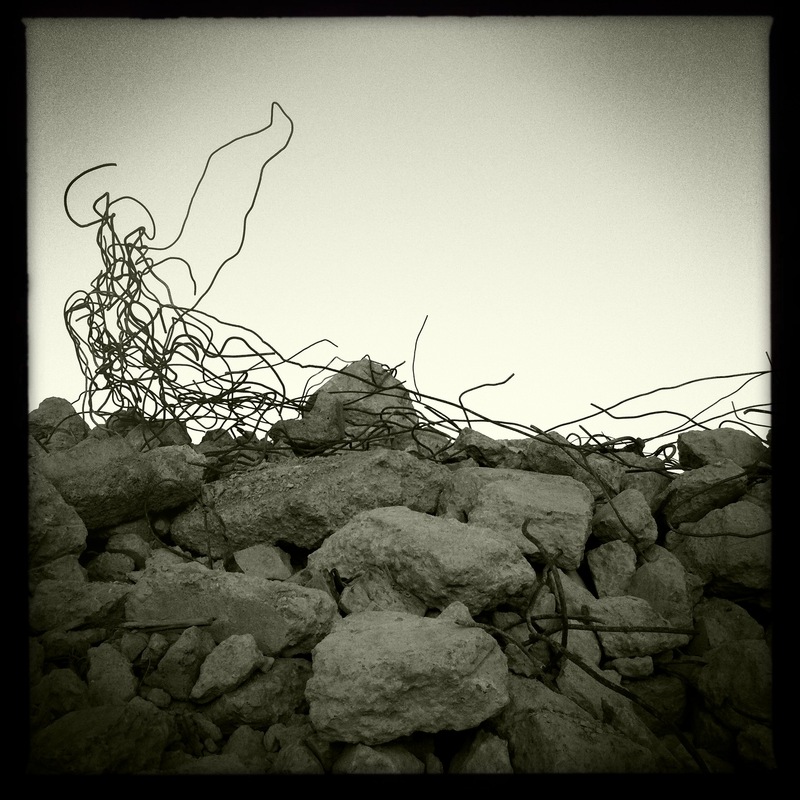 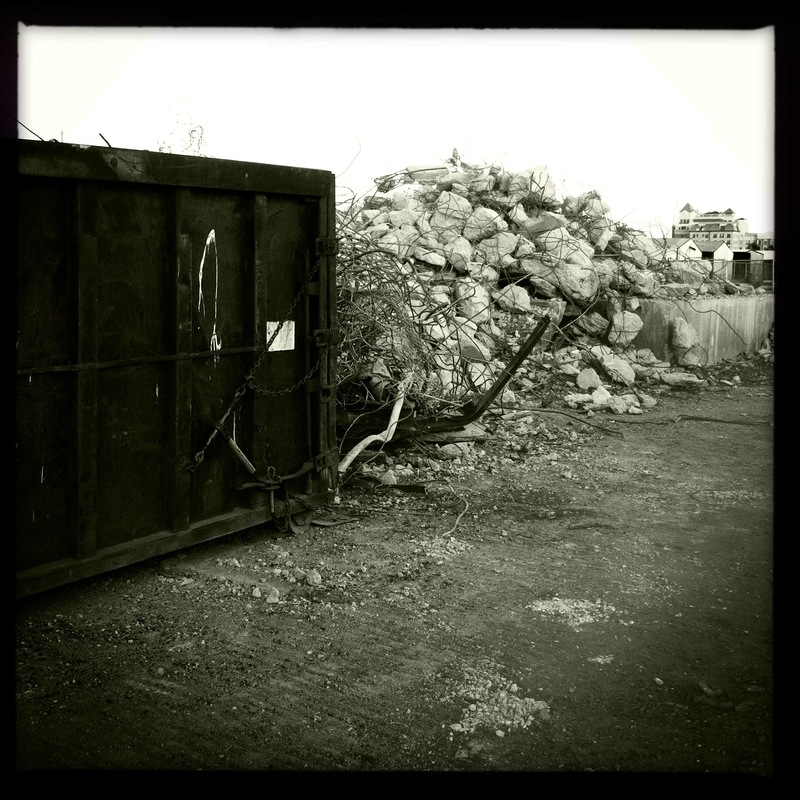 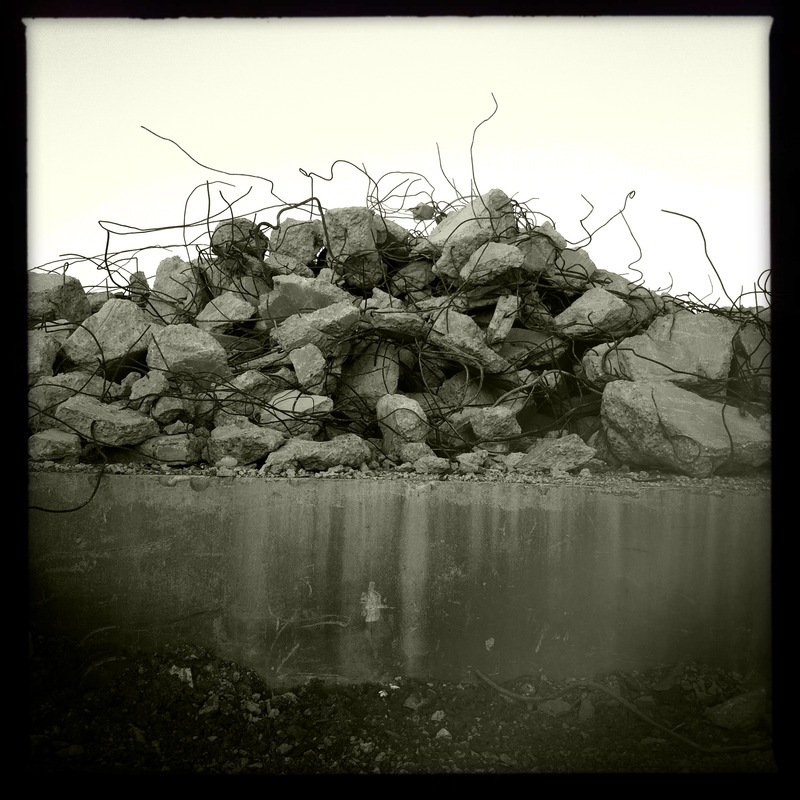 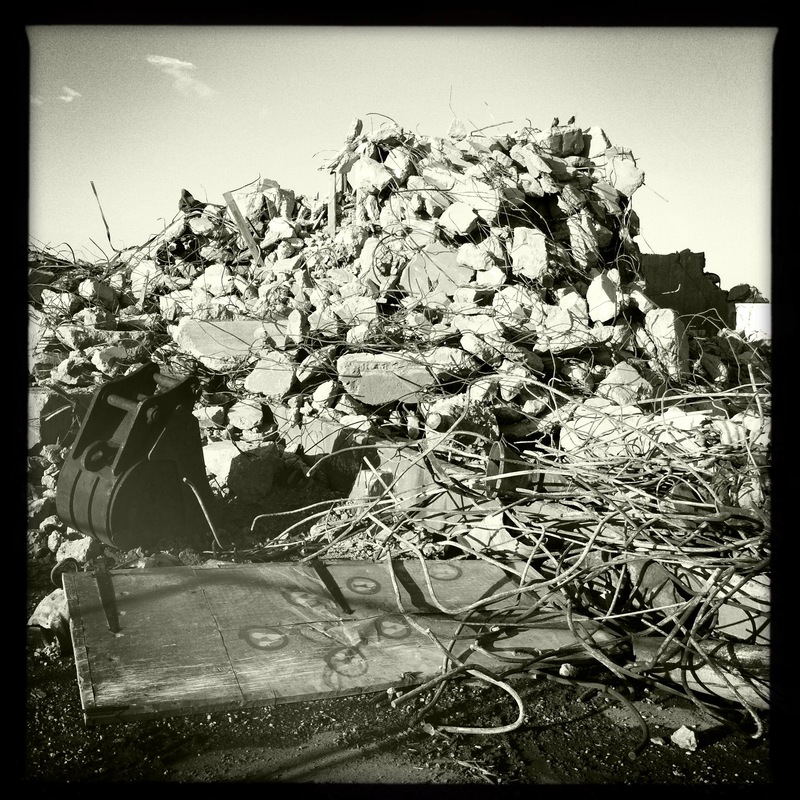 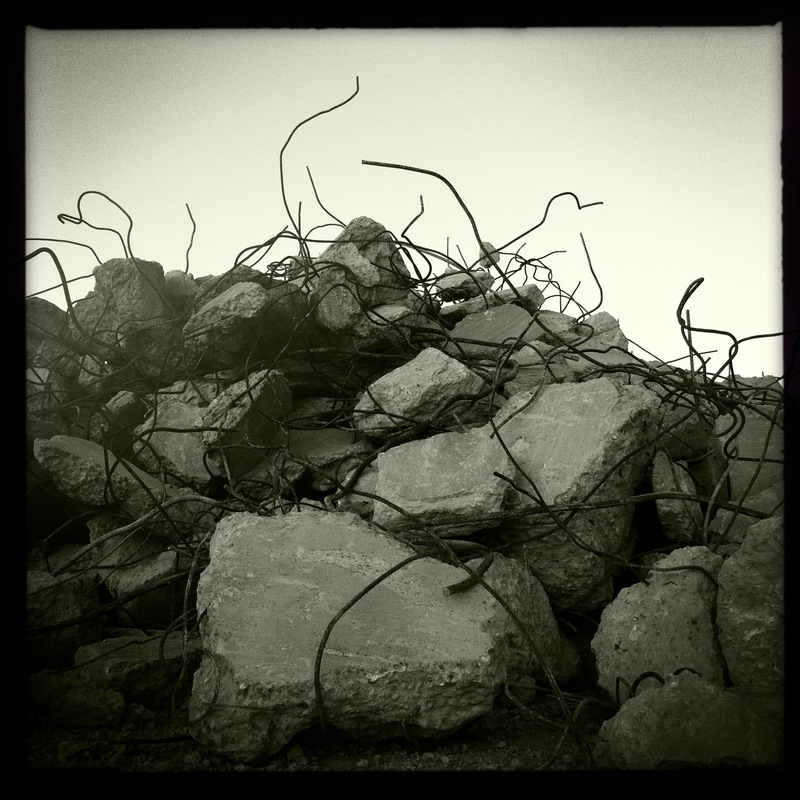 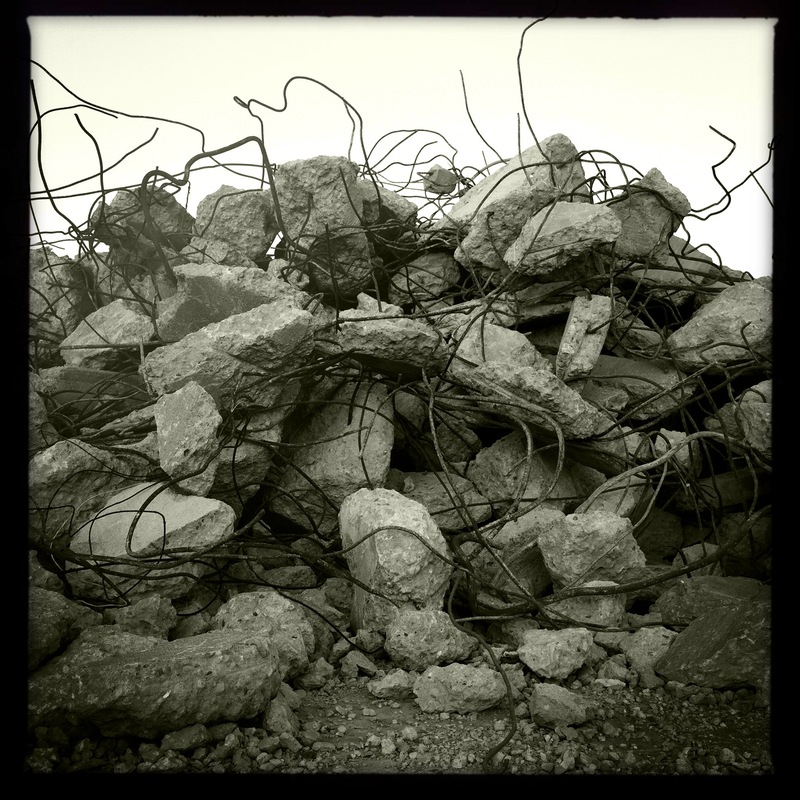 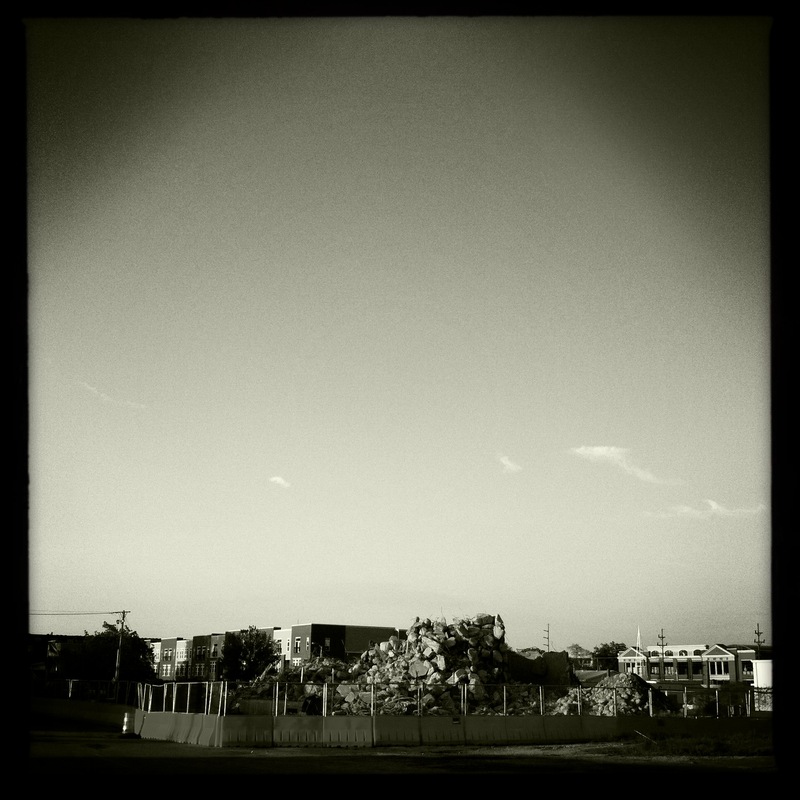 The grain elevator has been reduced to a pile of rubble. 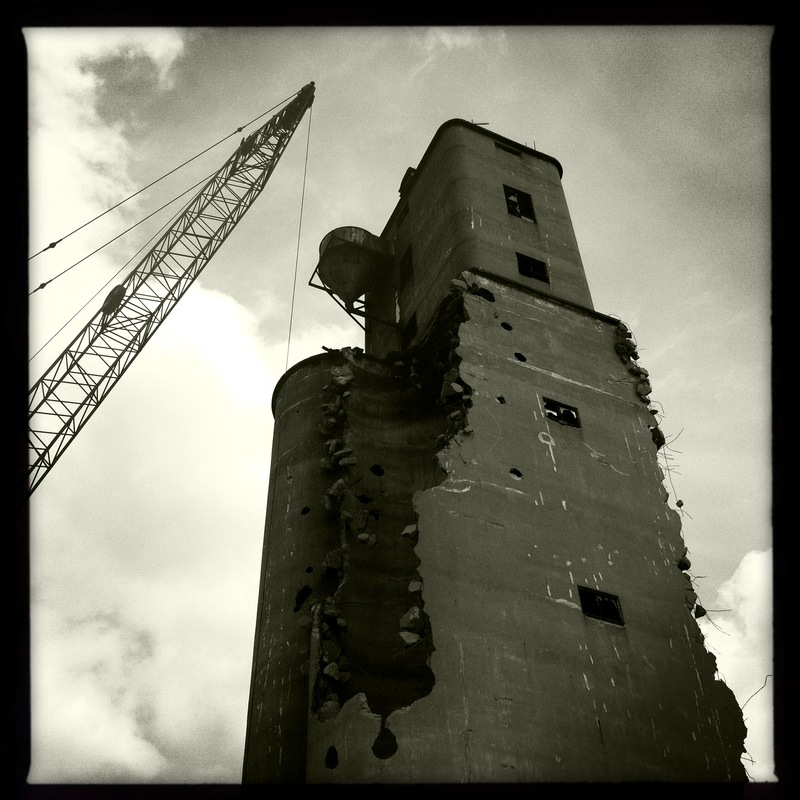 This was my favorite view of the grain elevator.